LSVT BIG is one of the best holistic methods available that can help improve the quality of life of Parkinson’s sufferers. Derived from the principles of LSVT LOUD, originally developed in 1987 as a speech therapy treatment program for Parkinson’s disease patients, LSVT BIG has had a major impact as a Parkinson’s treatment option. 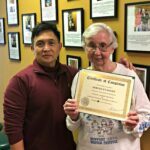 Regain Your Movement With The LSVT BIG Physical Therapy Program Today! Studies are beginning to document the effectiveness of LSVT BIG on Parkinson’s disease patients, with a recent 2005 study first published in Experimental Brain Research showing that LSVT BIG patients displayed 10-15% improvements in mobility test scores. In the same study, mobility for groups treated with two other common exercise-based methods showed slight deterioration, overall. So currently, Physical Therapy using LSVT BIG truly is one of the best options available for Parkinson’s patients. In addition, the LSVT BIG method is extremely versatile as a treatment option, as many of the individual aspects and exercises of the program can also be used for Physical Therapy in orthopedic rehabilitation cases and to help treat numerous other neurological disorders as well, including multiple sclerosis, Down syndrome, balance disorders, and cerebral palsy. 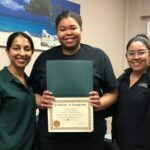 The Elizabeth & Jersey City Physical Therapy clinics of Complete Physical Rehabilitation are the only clinics in their respective areas to offer the LSVT BIG program, with the Jersey City Physical Therapy clinic being the only clinic in all of Hudson County. 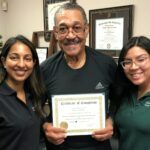 With a protocol that is specifically geared towards the repetition of core movements tailored towards everyday living, our LSVT BIG Physical Therapists, Asha Koshy, Humberto Colmenares, and Physical Therapist Assistant Diana Raa are perfectly suited to help Parkinson’s sufferers optimize their movement learning curve and improve their quality of life!